Our body consists of 10-13 trillion cells. As we grow, our body keeps renewing its tissue and cells every 100 days. To renew itself every 100 days, the cell death rate is around 100-130 billion cells every day. They regulate growth signals themselves. They do not respond to growth inhibitory signals. They metastasize or spread to different parts of the body. Their inability to undergo cell death is what makes it challenging to treat cancer cells. The two major forms of cell death are: apoptosis and necrosis. Apoptosis is defined as ‘programmed cell death’ which ensures healthy survival or death balance between cells. Apoptosis is just one form of cell death. Necrosis is a non-specific type of cell death where the cell ruptures and elicits an inflammatory response. Additional cell death mechanisms include autophagy, entosis, paraptosis, and anoikis. Why apoptosis is chosen as a target for cancer treatment? Apoptosis is a very well programmed mechanism directed by genes. It is a form of cell death. Its features involve shrinkage of cells, condensation of genetic material, destruction of the membrane and other cell organelles. Apoptosis is one mechanism that is studied in great detail for it dictates the manner of cell proliferation and survival. It also provides the basis for the idea that like other metabolic programs even cell death can disrupt by mutations. This implies that the defect in apoptotic pathways can contribute to neurodegenerative (degeneration of the brain) diseases and malignancy. The idea that apoptosis may play a role in malignancy dates back to 1970s. It was thought that necrosis- a type of cell death which occurs when the cell is damaged, was responsible for spontaneously regressing or resolving tumors; but it was found that large percent of cell loss was from apoptosis. Apoptosis affects tumor initiation, progression and spread to other parts of the body. Normal cells undergo destruction but do mutations cancer cells remain immortal. Not only immortal they also continue to proliferate. To metastasize the cancer cell must acquire the ability to survive in the bloodstream and invade foreign tissue. Disruption of apoptosis contributes to each of these properties. It can also contribute to drug resistance in cancer. Since apoptosis consists of precisely regulated events which are generally altered in tumors, apoptosis is chosen over other cell death types as a target for therapy; since each of these programmed apoptotic steps can be manipulated for therapeutic purposes. Apoptosis is preferred over other cell death forms as a therapeutic target since it consists of sequential steps that can be modulated in a way that it is relevant to treatment. Why is there a need for selective apoptosis inducers in cancer treatment? Anti-cancer agents designed to cause apoptosis in tumor cells, induce apoptosis in normal tissue as well. This contributes to chemotherapy-induced toxicity. Thus there is a need to search for selective apoptosis inducers- those that only induce apoptosis in tumor cells. Variety of signals can induce apoptosis. External triggers include reduction of oxygen, radiation, depletion of survival enabling proteins whereas internal triggers include DNA damage, defects in genes etc. A successful anti-cancer drug is one that kills tumor cells without creating toxicity in normal cells. This mover our attention to natural compounds that can inhibit tumor formation. In fact, diets rich in fruits and vegetables can reduce the risk of cancer. Various plant extracts having chemopreventive potential are being identified. A need for selective apoptosis inducers or cell death causing compounds is required so that only tumor cells are killed and normal cells remain unharmed. 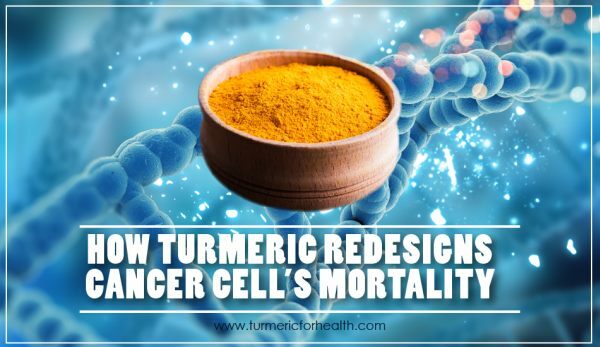 How does turmeric redesign cancer cell’s mortality? 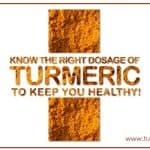 Low incidence of cancer is seen in regions where turmeric is consumed as a spice. 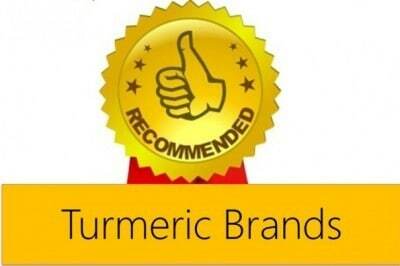 Turmeric contains a class of compounds which are known as curcuminoids. They are strong antioxidants. Curcumin is the principal curcuminoid that is identified to have anti-carcinogenic, anti-inflammatory and anti-proliferative property. In their paper ‘Curcumin and Cancer Cells: How Many Ways Can Curry Kill Tumor Cells Selectively?’ Ravindran et al have discussed how curcumin redesigns and changes the configuration of cancer cells in a way that they become mortal and undergo apoptosis. Curcumin directly or indirectly controls gene or gene products in cell death pathways and employs multiple methods by which it brings about apoptosis. 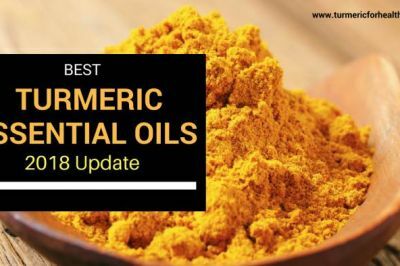 Since it has a multidirectional approach, it reverses drug resistance and cancer cells are unlikely to develop resistance towards curcumin. The authors of this paper have listed as many as 30 + plus apoptotic pathways that curcumin regulates and demonstrates its therapeutic potential in 30 cancer types. Another good read on this topic is ‘Modulation of anti-apoptotic and survival pathways by curcumin as a strategy to induce apoptosis in cancer cells‘ by Reuter et al. We will be going through a few mechanisms by which curcumin redesigns or reprograms cancer cells selectively. This apoptotic pathway occurs via the mitochondria- units found inside the cell and are known as the powerhouse of the cell. The triggers for this pathway include DNA damage, reduced oxygen levels, loss of cell survival factors etc. Bcl-2 family of proteins: These proteins support apoptosis or cell death. 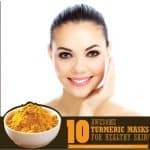 These therapeutic mechanisms of curcumin have been proven to be efficacious in skin cancer, breast cancer, leukaemia, basal cell carcinoma etc. Curcumin acts on the intrinsic apoptotic pathway – pathway that depends on internal signals for initiating cell death. It causes production of reactive oxygen species or restores the function of tumor suppressor protein in cancer cells so that they are killed and the cancer regresses. The extrinsic pathway depends on the activation of death receptors which are proteins that are expressed on the cell surface in a cell that is going to be destroyed. Death ligands are compounds that bind to these receptors, activate them and cause apoptosis. These therapeutic mechanisms of curcumin have been observed in human melanoma, colon cancer, prostate cancer etc. Curcumin also acts on external triggers (factors present outside the cells) to stimulate apoptosis and selectively kill cancer cells. Two of the major biochemical pathways involved in cell survival are Nuclear factor-kappa B and Akt signaling pathways. Nuclear factor kappa B is an important factor that controls inflammation, cell survival, differentiation, and apoptosis. 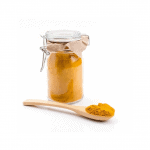 Curcumin suppresses the activity of this factor, arrests cell growth and induces apoptosis. This mechanism has been observed in bladder cancer, breast cancer metastasis, multiple myeloma, etc. The phosphatidylinositol-3-kinase (PI3K/Akt) signaling pathway is also crucial for many aspects of cell growth and survival and is frequently disrupted in human cancers. Activation of factor Akt inhibits apoptosis. Curcumin is proven to inhibit the activation of Akt and act on other targets in this pathway in order to cause apoptosis. Apart from regulating cell death pathways, curcumin also works towards inhibiting cell survival pathways so as to sensitize cancer cells towards cell death. Which are the different targets curcumin modulates to induce apoptosis in cancer cells? Here is the list of 32 molecular targets that curcumin modulates in order to cause cell death in cancer cells. 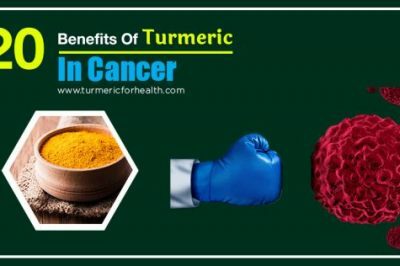 You can find the details of these mechanisms in Curcumin and Cancer Cells: How Many Ways Can Curry Kill Tumor Cells Selectively?’ . 1. Activation of caspase Caspase are enzymes that are very essential for cell death. 4. Increasing activity of p53 p53 is a tumor suppressor protein whose activation inhibits tumor development. 5. Release of Apoptosis Inducing Factor Apoptosis inducing factors (AIFs) are released from the mitochondria (power house of cell) to stimulate apoptosis. 6. Regulating Cell Cycle Cell cycle consists of various phases of cell development. Disruption of any one stage can inhibit cell growth. 7. Inhibiting activation of P13K-AKT Akt is a critical enzyme in bochemical pathways involved in cell proliferation, apoptosis and angiogenesis (blood supply). 8. Inhibition of mTOR mechanistic target of rapamycin, (mTOR) is a protein that regulates cell growth, cell proliferation, cell survival, autophagy etc. 9. Reducing activity of Androgen Receptors Androgen receptors are proteins that play an important role in hormone sensitive cancers like prostate cancer. 10. Inhibition of Growth factors and their receptors Growth factors as the name suggests play an important role in cell survival and development. 11. Inhibition of AMPK 5′ adenosine monophosphate-activated protein kinase is an enzyme that regulates cellular energy balance. Its inactivation can affect proliferation rate. 12. Inhibition of COX and LOX enzymes COX and LOX are enzymes involved in inflammation and support tumor development. 13. Inhibition of ornithine decarboxylase Ornithine deacarboxylase is an enzyme that is involved in DNA formation and antioxidant formation. Inhibition of its activity of leads to formation of damaging reactive oxygen species. 14. Inhibition of acidic sphingomylinease Acidic sphingomylinease is a set of enzymes that is responsible for cell structure maintainence. 15. Inhibition of Phospholipase D Phospholipase D is an enzyme that protects cells from apoptosis. 16. Inhibition of thioredoxin reductase Thioredoxin reductase is an enzyme that supports cell growth and survival and its inhibition causes cell death. 17. Inhibiting activation of STAT 3 Mutation of Signal transducer and activator of transcription 3 (STAT3) contributes to inflammation and cancer development. 18. Activating c-Jun Kinase c-Jun Kinase are a set of enzymes released in cellular stess and play an important role of apoptotic pathway. 19. Induction of DNA fragmentation Degradation of DNA material disrupts cell survival. 20. Direct DNA damage Direct DNA damage subsequently leads to cell death. 21. Intracellular calcium ion depletion Depletion of intracellular calcium ions elicits a signal for apoptosis. 22. Activating mitochondria Mitochondria is a structure inside that cell that deals with energy balance and is involved in cell differentiation and death. 23. Inhibition of glyoxalase Glyoxylase is a detoxifying enzyme whose inhibition results in anti-inflammatory and anti-tumor action. 24. Suppressing anti-apoptotic proteins Inactivating proteins that do not support cell death can sensitize and kill tumor cells. 25. Binding to microtubules Microtubules, as the name suggests, are tiny tube like structures that maintain cell structure and cell processes. Impairment of their activity can affect cell development. 26. Proteasome Activation Proteasomes are protein complexes in the cells that degrade damaged proteins and this indirectly plays an important role in cell cycle. 27. Pro/Antioxidant Mechanisms The balance between prooxidant and antioxidant agents in the cell can be altered to increase sensitivity to cancer treatment. 28. Autophagy Autophagy is a form of cell death where the cells self destruct and its contents are consumed by cell organelles. 29. Inhibiting Nuclear factor kappa B Nuclear factor kappa B is a very important protein involved in inflammation, cell differentiation, growth and death. 30. Inhibition of Wnt/beta-catenin Signaling Wnt/beta-catenin signalling is a pathway that plays an important role in development and regeneration; its activity is impaired in cancer cells. 31. Activation of Nrf2 Nrf2 is a factor that controls the activity of antioxidant enzymes and can positively regulate antioxidant defense. 32. Inhibition of hTERT TERT is an enzyme that is essential for packaging genetic material of cells and thereby influences cell survival. 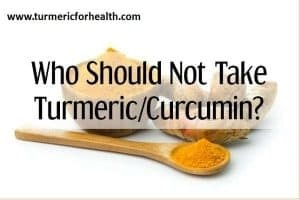 How does curcumin selectively kill tumor cells and not normal cells? 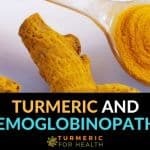 Absorption of curcumin is higher in tumor cells than normal cells. The level enzyme glutathione is lower in tumor cells than normal cells which sensitizes them towards curcumin’s anti-cancer activity. Most tumor cells, but not normal cells, express high levels of nuclear factor-kappaB (a protein that serves as master control of cell growth and death) and curcumin suppresses its activity. In this manner, curcumin kills tumor cells and also protects normal cells from the toxicity of chemotherapy and radiotherapy. 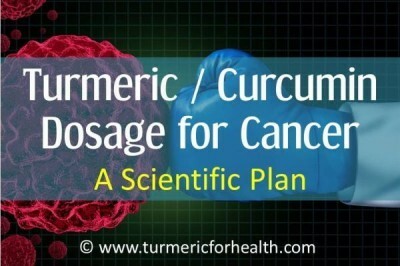 Curcumin selectively kills tumor cells only. Normal cells remain unaffected and curcumin protects them from cancer therapy induced toxicity. 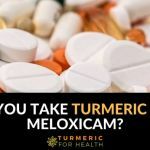 Does curcumin exert anti-cancer activity via other cell death forms? Yes. You would be surprised to know that apoptosis is not the only form of cell death that curcumin induces in cancer cells. Mitotic catastrophe is a type of cell death that occurs due to errors in the cell cycle. The cell cycle is a number of stages through which a cell passes to develop completely. Curcumin induces this type of cell death in breast cancer and esophageal cancer. Autophagy is a type of cell death where the cell is consumed by its own organelles. Curcumin was found to initiate autophagy in esophageal cancer and malignant gliomas. Curcumin destroys cancer cell via cell death forms other than apoptosis. 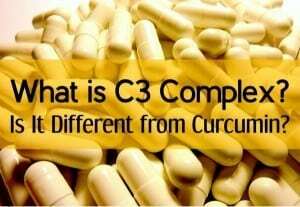 What are the practical applications of curcumin’s ability to reprogram cancer cells? Curcumin’s ability to reprogram cancer cells and sensitize them to apoptosis adds to its therapeutic potential as an anti-cancer agent. TNF -related apoptosis-inducing ligand (TRAIL) is a molecule that binds to the death receptors DR4 and DR5 and induces apoptosis in several tumors. 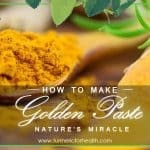 Curcumin is found to sensitize chemoresistant ovarian cancer cells, prostate cancer cells, and malignant glioma cells. Curcumin reverses chemoresistance. 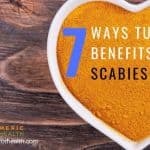 It also increases the sensitivity to chemotherapeutic agents like Taxol, Vinorelbine, Oxaliplatin, FOLFOX, gemcitabine, paclitaxel and also protects from its toxicity. By sensitizing cancer cells to apoptosis, curcumin reverses drug resistance and increases therapeutic efficacy on anti-cancer drugs. 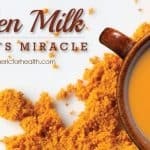 Curcumin has a multifaceted role in cancer treatment. It is pretty fascinating to know that curcumin can reprogram immortal cancer cells and sensitize them towards apoptosis or cell death. In simple terms, curcumin makes tumor cells vulnerable to cancer treatment. 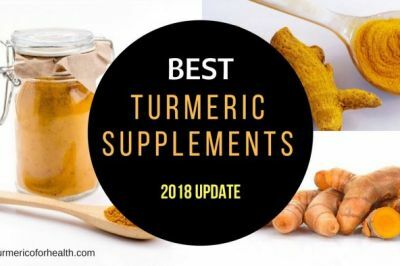 Research proves that curcumin manipulates over 20 targets in order to cause apoptosis and this is the reason why cancer cells do not develop resistance towards it. By re-configuring the cells’ biochemical pathway, curcumin reverses drug resistance, increases sensitivity to chemotherapeutic agents and also serves as chemopreventive (cancer preventing) agent. Interestingly its reprogramming action is limited only to tumor cells. 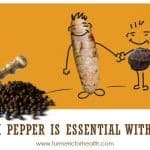 Curcumin doesn’t affect normal cells; it selectively kills tumor cells and protects normal cells. 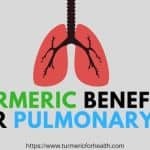 Does anyone have information regarding turmeric on lung cancer with metastatic brain cancer? I only found some information regarding to lung cancer and brain cancer seperately. Purkayastha et. al., 2009: “Taken together, solubilized curcumin effectively blocks brain tumor formation and also eliminates brain tumor cells. Therefore, judicious application of such injectable formulations of curcumin could be developed into a safe therapeutic strategy for treating brain tumors.” In this research, curcumin was injected introvenously into mice, so that should be taken into reconsideration. Thanks for this piece on turmeric. 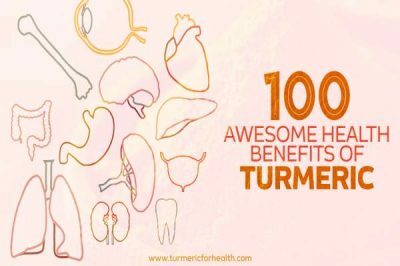 I want to ask how does turmeric affect uterine fibroid?